Do you qualify for the NDIS? The National Disability Insurance Scheme (NDIS) is the new way of providing individualised support for people with disability, their families and carers – it’s the insurance that is designed to give us all peace of mind. “Disability could affect anyone and having the right support makes a big difference,” a spokesperson said. “The NDIS provides eligible people a flexible, whole-of-life approach to the support needed to pursue their goals and aspirations and participate in daily life. The National Disability Insurance Agency (NDIA) is working closely with the relevant Commonwealth and NSW government departments to ensure there is a smooth transition to the NDIS for people with disability, their families, carers and providers. If you currently access services you will be contacted to discuss the process of entering the NDIS but if your region has already transitioned, don’t hesitate to be in touch. Live in Australia and be: an Australian citizen OR a permanent resident OR hold a Protected Special Category Visa. To receive the NDIS you must be aged under 65 years. 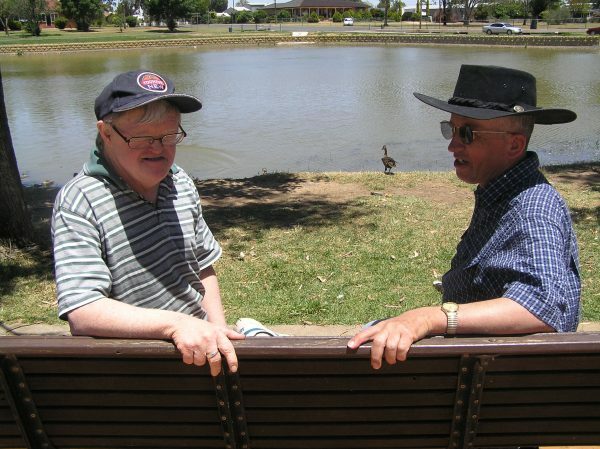 In some locations, you need to be a certain age to access the NDIS during the trial period. Other supports may be available if you don’t qualify. To access the NDIS right now, you must live in an NDIS area on a designated date. In some of these areas, you also need to be a certain age to use the scheme. To meet the NDIS early intervention rules, you need to have an impairment or condition that is likely to be permanent (lifelong), or be a child under six years of age with a developmental delay and the delay means you usually need more help with your self-care, communication, learning or motor skills than another child of the same age. Call the NDIA on 1800 800 110 if you have any questions or to ask for an access request form.